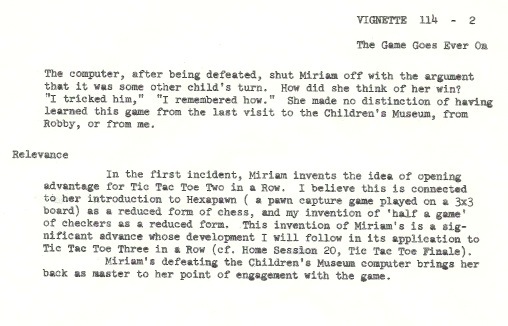 In the first incident, Miriam invents the idea of opening advantage for “Tic Tac Toe two in a row.” I believe this is connected to her introduction to Hexapawn (a pawn capture gain played on a 3×3 board) as a reduced form of chess, and my invention of “half a game” of checkers as a reduced form. 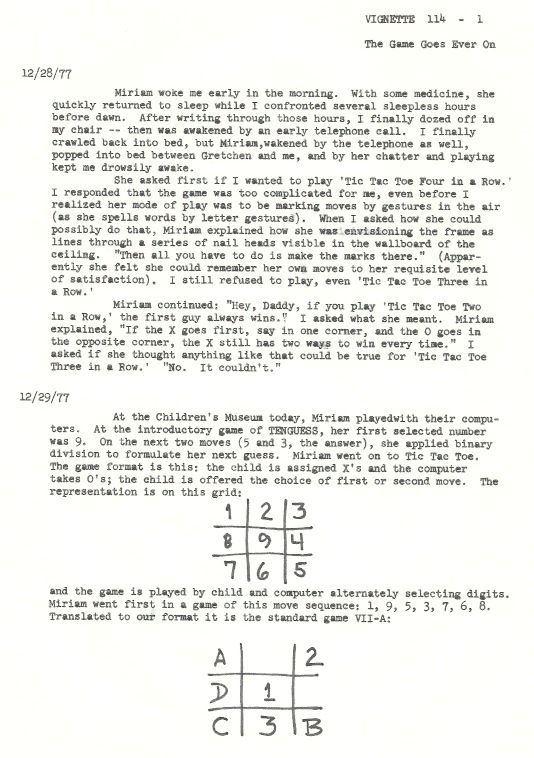 This invention of Miriam’s is a significant advance whose development I will follow in its application to Tic Tac Toe Three in a Row (cf. Home Session 20, Tic Tac Toe Finale). Miriam’s defeating the Children’s Museum computer brings her back as master to her point of engagement with the game.